Traditional Instrumentation consisted originally of analog systems, like recorders, amplifiers, filters, signal conditioners, oscilloscopes, meters, generators, power supplies, and other forms of instruments and then later added digital analysers. The revolution in instrumentation happened when computers and microprocessors were introduced as a platform to build instruments inside of, using their programmable environment to read and control the original analog instrumentation. This produced what is called hybrid smart instrumentation. MB is which is a generic name for all those instrumentation systems that do not fit into traditional methods. These frameworks always have either an internal embedded computer or an external computer that is able to run specific custom software applications to bring all the parts together. Linking the computing system to all types of instrumentation analog and digital I/O sub block technologies and you get or can build, custom smart simple to complex instrumentation systems. 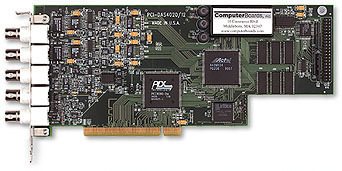 Some examples of the IO that can be linked to computing systems are standard ADC, DAC, DIO, Timers etc but also more expansively, comms RS-232/485/Ethernet serial instrument/devices, GPIB instruments, USB and Ethernet DAQ/instruments and a host of internal computer bus devices on ISA, PCI, PCIe, PXI, VXI and other formats + wireless instruments that can be remote. 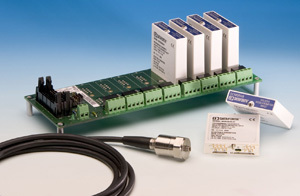 External to the I/O systems there are usually signal conditioners for linking real world parameters to the digital world using transducers, gauges and sensors - such as temperature using RTD, TC, Thermistors & Silicon, force, pressure acceleration via strain gauges and LVDTs, encoders for rotary and linear measurement and the list goes on and on. These methodologies have linked almost all physical parameters to signal conditioners, I/O and into instruments or computers to make complex instrumentation, usually called instruments or devices. 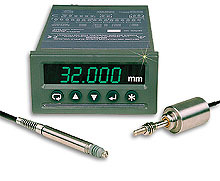 The world is full of hundreds/thousands of types of instrumentation systems, specific instruments and devices. Digital computers offer considerable advantages when building instrumentation, allowing software control of all the sub blocks, storage of results, sophisicated display, digital filtering, statistical, time and frequency domain observation of the inputs and also to drive back from the computer using output I/O and signal conditioners to control the parameters for the inputs in some way, called close loop and real time control. A large part of Instrumentation is software development and many methods have been developed, see below. If you want us to source a special Instrumentation product for you, just email and we will act as your sourcing agent.